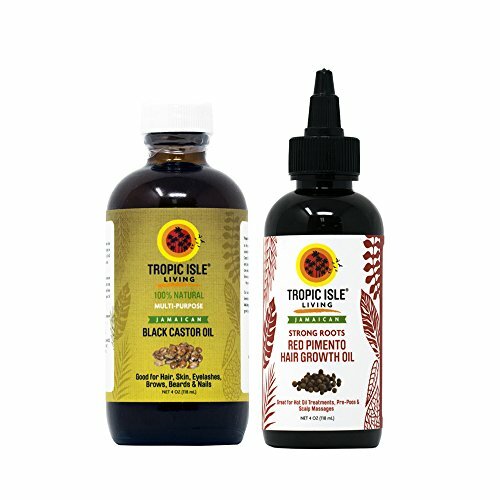 Tropic Isle Livings STRONG ROOTS Red Pimento Hair Growth Oil strengthens, thickens and grows your hair. It increases blood flow to the scalp, supplies valuable nutrients to hair roots, stimulates hair follicles, strengthens hair shaft and help to remove toxins and parasites that could retard hair growth. Red pimento oil contains appreciable levels of the trace mineral, copper, which is beneficial to the hair in many ways. Helps alopecia and prevent hair breakage.